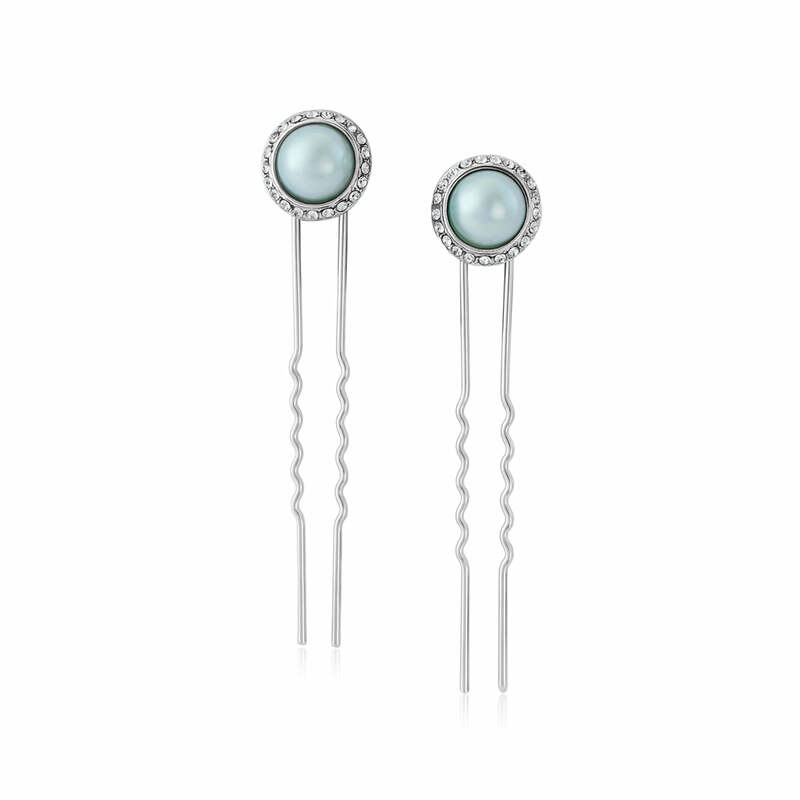 Add an elegant pop of pastel colour to your up-do with these charming retro hair pins. Vintage inspired treasures, the beauty of our Duck Egg Dream Hair Pins is quite breath-taking. The fabulous hue of the light blue pearl is delightful set against the light aqua crystals creating the most divine, delicate hair accessories. Timeless but with a retro charm, these stunning pale blue hair pins will add a pop of colour scattered in an elegant up-do for a Summer prom or add to a back combed beehive for 1960s fun. Hues of blue or aqua will create a cool yet romantic wedding them. For a beach themed wedding our Duck Egg Dream jewellery and hair accessories will complement an array of styles. Whether as your “something blue” or to dress up your maids, these divine adornments will ensure your bridal party will shimmer with enchanting glamour from bygone eras.